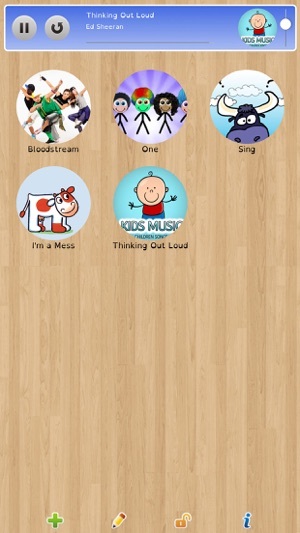 Niki Music allows your child to listen his favorite music independently. It is exactly what I was looking for. I needed a simple way for my autistic son to play songs and I think this will work. I also love that we can add our on pictures to each song. So now he will be able to find the song he wants to play. 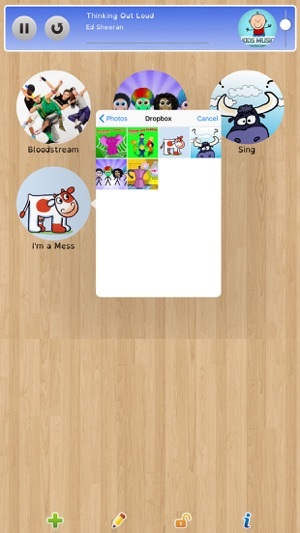 It is extremely easy to add songs and artwork! I also like the lock so he can't accidentally change anything. Just downloaded the app, tried to unlock it to edit it, and it just keeps using a prompt box with "4x8' 8x8, etc." nothing I write in is accepted and it won't unlock. Website to contact developer doesn't work. Help, or give me a refund!